Are you looking for some creative ideas to enhance your social media activities? If so, look no further. To help you lay down tracks for social media success, here’s a solid list of strategies from eight top social media experts. Take a look, ask yourself what tips you can use and start reaping the rewards of real success. “To provide additional value and fresh ways for your fans to interact with you, periodically conduct live chat sessions or live webinars or teleseminars. 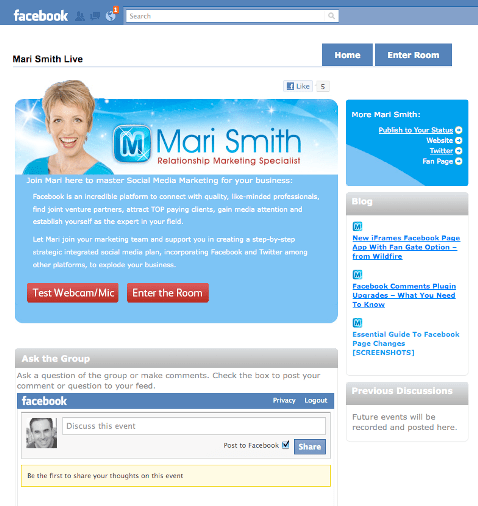 My co-author of Facebook Marketing: An Hour a Day, Chris Treadaway, and I recently conducted what we called a ‘flash chat’ in order to crowdsource content for version two of our book,” explained Mari Smith. “We used the awesome webinar platform Linqto and within a few minutes we had a large group of people interacting with us. Linqto allows presenters to be on webcam and mic and take turns ‘on the floor’ while participants interact via chat,” said Mari. Mari also said you can keep it real by simply conducting a live Q&A right on your Facebook fan page wall. 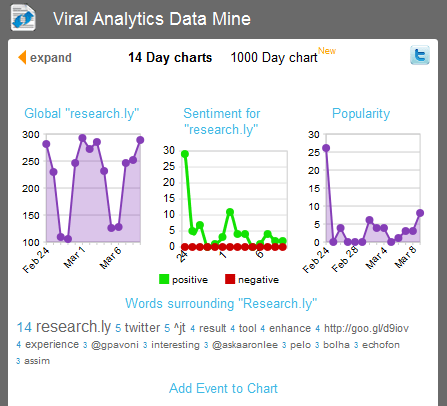 You’ll get extra visibility in the news feeds of your fans! “Don’t try to build your personal brand or company brand alone. Go out of your way to look for opportunities to help others and give others credit. This may seem like a lot of work in the short term, but it pays off in the long run. Plus, it’s the right thing to do,” said Erik Qualman, author of Socialnomics: How Social Media Transforms the Way We Live and Do Business. “Easy ways to do this include recommendations on Twitter of others’ work, retweets and hot tips on the comment section of blogs,” Erik added. “Heed Guy Kawasaki’s advice and select those not on the A-list. The Mari Smiths, Chris Brogans and David Meerman Scotts already are showered with love. Select an up-and-comer, as you will stand out more to that person,” explained Erik. “All too often, businesses overlook the ‘social’ part of the phrase social media marketing and jump straight into the ‘marketing’ part… to their detriment. They forget that social media is dominated by a community of people who have expectations of the various social networks to which they belong. Very often, these expectations do not include having marketing messages jammed down their throats,” explained Hollis Thomases, author of Twitter Marketing: An Hour a Day. Hollis cites INGDirect, L.L. Bean and Ben & Jerry’s as good examples of authentic brand voices that ‘get’ the Twitter community. Notice the engagement in their streams. “Stop reading the success stories and best practices to model your social media strategy. Use them for inspiration, but my best advice to you is to go figure out what your opportunity is first,” said Brian Solis, author of Engage: The Complete Guide to Building, Cultivating and Measuring Success in the Social Web. “Every business case is different. Your customers’ needs are different. Use a tool such as Research.ly to learn more about what your customers and prospects are saying, looking for and sharing. It’s here where you will find the insights necessary to inspire a campaign that’s relevant and meaningful,” said Brian. Publish your time-stamped stream as an intelligent link. “I’m from Boston and we used to have a huge user group here called the Boston Computer Society,” says Steve Garfield, author of Get Seen: Online Video Secrets to Building Your Business. “They had monthly meetings where people could go out and meet each other and get help and learn about new products. Then, people started getting answers online. So the Boston Computer Society disbanded, thinking that people could just go online to get all their answers. “The most critical thing that the Boston Computer Society forgot was how important it is to meet people face to face. 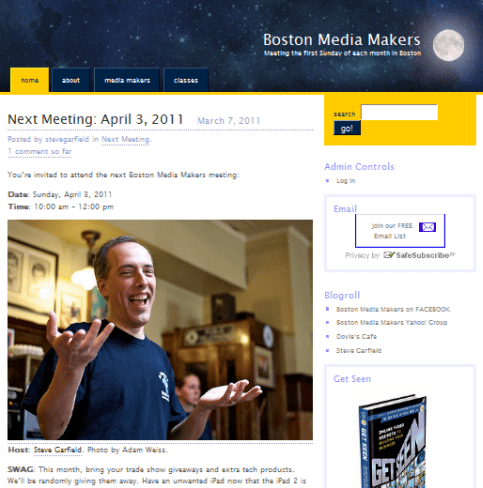 That’s why I have monthly meetings in Boston with a group I founded called Boston Media Makers. At these meetings every person who attends gets to meet every other person. That’s the secret,” said Steve. You can meet people online, but solidify these online relationships face to face. “The meeting is set up to allow for mingling at the beginning, then we have a round table where everyone gets two minutes to talk about who they are and share some news or ask a question. Then the meeting ends with more mingling. What’s very important is that the meeting is free, and happens at the same time every month no matter what. We never cancel. Everyone is welcome,” explained Steve. “We all know that ‘content is king’,” says Dean Hunt, a leader in high-impact buzz and viral content. 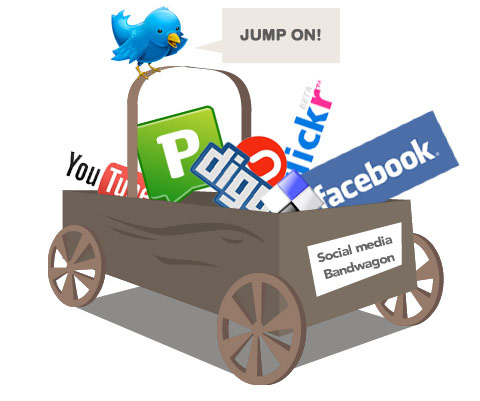 “This is especially true when it comes to social media and social bookmarking. But what happens if nobody reads your masterpiece? There’s nothing worse than spending hours on an article, blog post, etc., only to see it gather dust in the Internet caves. “So here’s a strategy I created to ensure that your content WILL get noticed… In fact, people will do a double-take when they see your content title, and will not be able to resist reading it. I call it the ‘negative slant.’ It’s very simple to do, and works best with informational or how-to content,” said Dean. “An example is a recent post I wrote, ‘How to Work Really Hard and Make No Money.’ It was a big success. 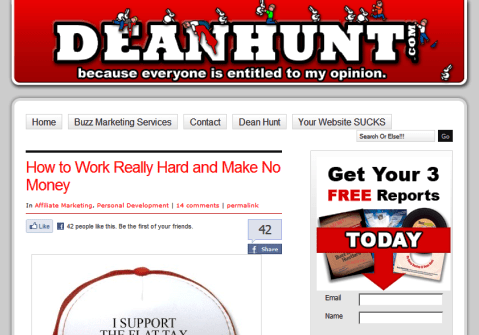 Now, I should stress that the content in that blog post was informative, positive and actually showed people how to make money, but I put a negative spin on the title, which gave it shock value,” said Dean. “Imagine if the title had been ‘How to Make Lots of Money’ instead. We see these kinds of promises every single day, and we’re trained to not believe or trust them. So put a negative slant on your social media content, and watch it create buzz and get shared faster than ever before,” explained Dean. “Just as you would invest your personal finances based on your family size, age and market conditions, you should be spending in social business with the same industry knowledge,” said Jeremiah Owyang, partner of customer strategy at Altimeter Group. 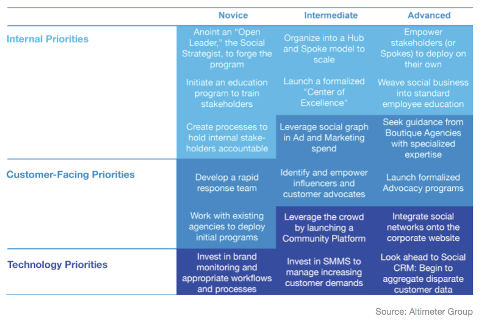 This chart matches spending priorities with an organization’s social business maturity. Take a look and see where your business fits best. “Get experts involved with your content. Determine who the experts are in your industry. Then go to them and offer to interview them about their hottest new project. During the interview, be sure to ask plenty of questions your audience would like to know the answers to. The result will be a great article, audio or video that provides valuable information to your audience AND forges a relationship with the expert,” said Mike Stelzner, founder of Social Media Examiner. 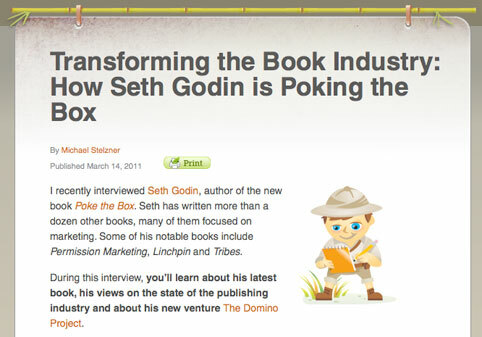 To see an example of this strategy, check out Mike’s recent interview with bestselling author Seth Godin. Want to Learn More About Social Media for Business? If you’re not fully leveraging the power of social media, don’t worry. You’re not alone. There’s one easy way to take your social media efforts to the next level. By attending the web’s largest online blogging conference, Social Media Success Summit 2011 you’ll become empowered to use social media to gain more exposure, better engage customers and grow your business. The great part is you’ll be learning from 22 blogging experts. Join Jeremiah Owyang (Altimeter Group), Brian Solis (author, Engage), Frank Eliason (Citigroup), Mari Smith (co-author, Facebook Marketing), Erik Qualman (author, Socialnomics), Michael Stelzner (founder, Social Media Examiner), Dan Zarrella (author, The Social Media Marketing Book), Andy Sernovitz (author, Word of Mouth Marketing), David Meerman Scott (author, Real-Time Marketing & PR) and experts from Verizon, Boeing, Intel, and Cisco as they reveal proven social media tactics at Social Media Success Summit 2011. Luxury Institute research revealed that, of the customers who shop for high-end merchandise online, 78 percent of them did so in order to find the best price while nearly as many, 77 percent, did so to compare brands (BrandWeek, January 2010). Mobile devices are used by 32% of consumers to browse or research products or services at least once a month. Nearly 64% of respondents had watched a user-generated video review, and more than three-quarters of that group said it helped them make a purchase decision—either for or against a product or brand. 81.3% listed the ability to see the product in action as their favorite thing about video reviews. (Internet Retailer, June 2010). My name is Robert Lindsey, Director of Business Development at Promotion Managers. to run your business. I was recently in the area and wanted to introduce myself. I will be posting tips to help you with your internet marketing campaigns. Please subscribe via facebook or twitter!